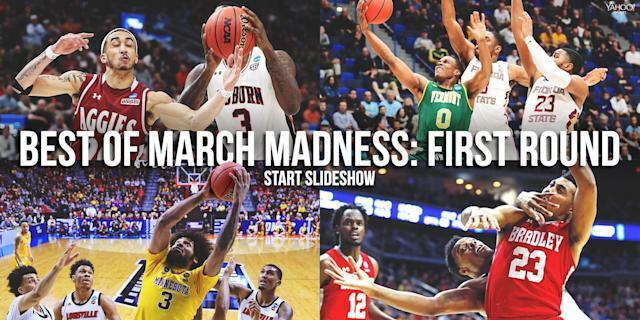 The biggest controversy on Day 1 of the 2019 NCAA tournament was not a referee’s call. It was not a coach’s strategic decision or a player’s mistake. It was Tom Izzo’s rage. Izzo screamed at Michigan State freshman Aaron Henry. Then, while Spartans players restrained him, he screamed some more. Reaction devolved into debates over whether Izzo was out of line, whether society has gone soft, and so on. Henry’s tweet would seem to indicate he agrees with Carter’s take. So does this settle the Izzo debate? It probably settles one, but not the other. Let’s approach this topic with a bit of nuance. There are two separate debates: 1. Whether Izzo’s behavior is acceptable, and 2. Whether his behavior equates to effective coaching. The answer to the first question is the one Henry and Izzo’s former players provided. Acceptability is a culturally dependent term. Izzo-esque tirades might be unacceptable in many contexts; in other programs; in most cases at the next level. But Henry and others have willingly chosen to be part of a culture where this is commonplace. They’re the ones who get to decide whether it’s acceptable. But is it the right way to coach? Those same players, and many former athletes from previous eras, have been brainwashed to believe it’s the only way to coach. Many excellent younger coaches have shown it isn’t. Intense voice-raising will always be a part of competitive sports. But Izzo’s Thursday antics went beyond the norm. Was it necessary to stick a finger in Henry’s face? To repeatedly go at him in such an aggressive manner? For Izzo to jump up out of his seat and confront the freshman with the entire team huddled around? Wouldn’t a combination of yelling and a composed conversation on the side have been a better way to communicate a message? There are other ways to hold players accountable. Other ways to push them. Other ways to set a standard. 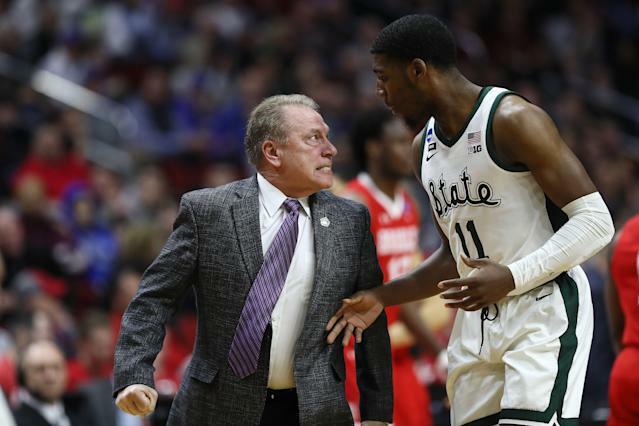 It’s noteworthy, and perhaps instructive, that 21-year-old Cassius Winston understood how to get that message across more effectively than his 64-year-old coach. Winston not only stepped between the two and restrained Izzo, he also had that composed conversation with Henry. He was able to translate Izzo’s rage into something instantaneously comprehensible. "I just felt at that moment, I could get the message to him better than coach," Winston told the Detroit Free Press postgame. "I know what it's like to be in [Henry’s] shoes. So much is going through his head." So Izzo can continue “coaching” like that as long as teenagers continue signing up for it. But that doesn’t mean he’s getting the most out of them via his unchecked anger. The idea that chilling out equates to not coaching is ridiculous.